Tell it like it is. Great sharing of thoughts. I was at work. I worked for a guy named Herm. We all went into one of the offices with a radio. I said to my friend, Sandy “We better get Herm out of here. He’s going to cry, and everybody will see him.” So we took Herm by the elbow and propelled him back to his office. After a while, we all went home early. If you interview as well as you write, and I’m quite certain you do, you should send your article to the assignment editors at channels 6, 8, 10, 39, 51 and 69. Even a radio interview would be great provided the host doesn’t keep interrupting your presentation. As you have said, “In a most recent Gallup Poll, 61% think that, at the very least, shooter Lee Harvey Oswald didn’t work alone. 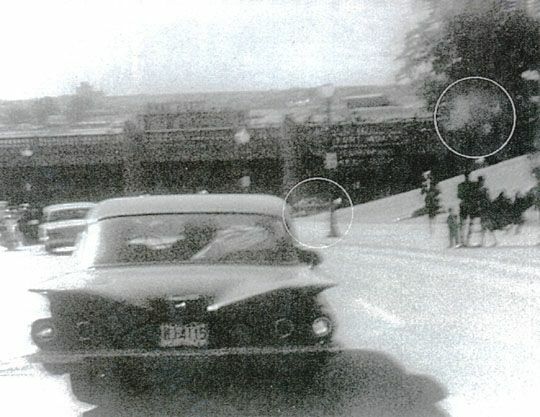 There must be at least a dozen people who are acutely aware of the “patch of smoke”in the trees forward and to the right of the 1960 Chevrolet. If there was film footage of that 1960 Chevrolet as it was moving forward and that patch of smoke suddenly appeared, it would be interesting to watch the reaction of the two adults and one child pictured to the right of that tiny tree. Frank, please contact radio and television. You would be an outstanding spokesperson for the 60%-70% of the population who have a difficult time believing the one shooter theory. As far as those dozen people who really know, they are the filthy dozen. Thanks, I was just to cover more recent publications. Really, almost anyone with an interest in this country will appreciate your readable and well-composed review of what’s out there on the JFK assassination, a killing that’s never made sense, and perhaps never will. notions among America’s elite that the country was was doing just fine, and that the nation required an unquestioning loyalty and trust in that elite. 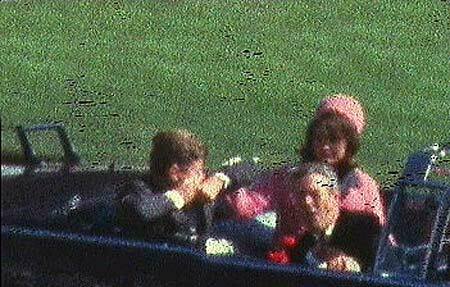 in JFK’s assassination. We all deserve a greater understanding of this improbably long string of political assassinations that occurred during the second half of last century. Have you seen the book, JFK AND THE UNSPEAKABLE, by James W. Douglass. a “must read” as described by Steve Bhaerman (Swami Beyondananda) in his online “Notes from the Trail”. Thank you for this article. It was hard to believe the one man shooter then, and it is even harder to believe now. 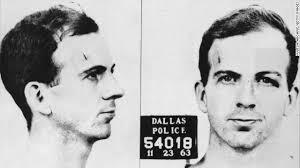 I have always wondered how Jack Ruby just happened to be in the Dallas Police Dept. and just happened to have a gun, and just happened to be close enough to Oswald to kill him. Am I the only one that thinks this is strange? I still remember tears in Walter Cronkite’s eyes as he told us the President is dead. So much innocence was lost that day, and for me, has never been regained.